The myelodysplastic syndrome, also called myelodysplasia or MDS is a group of blood disorders characterized by the inability of the bone marrow stem cells to develop into mature, functional blood cells. Myelodysplastic syndrome is predominantly a disease of older people and presents clinically with anemia and drop in the number of white blood cells and platelets. One of the main complications of myelodysplasia is its transformation into leukemia. To understand the myelodysplasia is first necessary to know what are the blood cells and that is the bone marrow. I will be brief on this explanation not to tire the reader with technical and physiological functions terms. 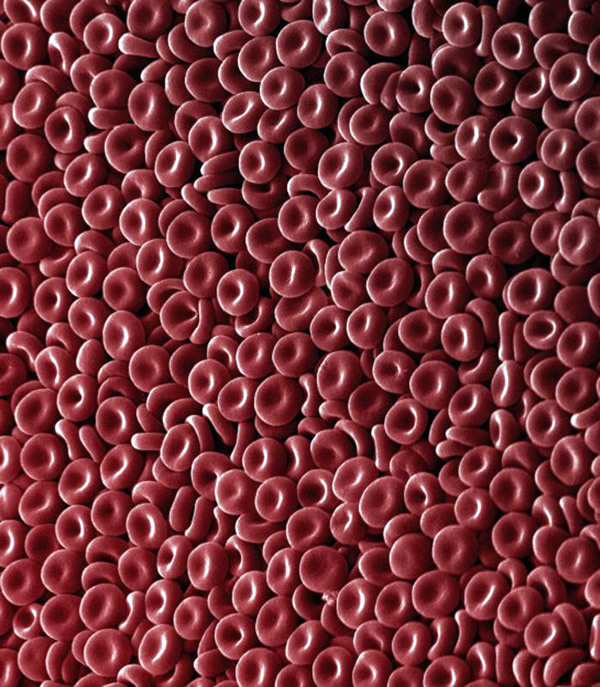 Red blood cells are the cells that carry oxygen through the blood. 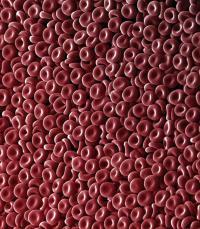 The drop in the number of red blood cells is called anemia. Its main consequence is a reduction in oxygen lead to the body's ability properly to your cells and tissues. Leukocytes are cells of the immune system to act our defending the organism against invading germs such as bacteria, viruses, parasites and fungi. The drop in the number of white blood cells is called leukopenia. Its main effect is to make it more susceptible organism to infections. Platelets are part of the coagulation system, being responsible for the first part of estacamento any bleeding. The fall in the number of platelets is called thrombocytopenia. Its main consequence is the decreased ability of the organisms to contain bleeding. The bone marrow popularly called, is a structure that is located inside the large bones, being responsible for the production of blood cells. The bone marrow produces stem cells, precursor cells which are able to transform into mature and functional cells. The stem cell according to the stimulus which is exposed, can differentiate into any type of blood cell is platelets, erythrocytes or any of the types of leukocytes (lymphocytes, neutrophils, eosinophils, etc.). Therefore, all cells circulating in our blood originated in a bone marrow stem cell. Bone marrow operates continuously producing cells, in order to maintain stable when the number of erythrocytes, leukocytes and platelets in blood. The old blood cells are destroyed in the spleen, an organ located in the upper right quadrant of the abdomen, and are replaced by new cells newly produced in the bone marrow. A red cell has a half life of 120 days, the white blood cells live about 20 days and platelets only 10 days. After reaching these ages, the cells are removed from circulation by the spleen. "Myelo" is a term of Greek origin meaning bone marrow and dysplasia is a term used to describe structural abnormalities. Therefore, roughly speaking, myelodysplasia means abnormality of bone marrow. Myelodysplastic syndrome is the name given to describe a group of diseases characterized by a patient bone marrow, dysplastic full of stem cells able to generate mature, functioning cells. These patients stem cells behave like cancer, they are clones multiply indefinitely, taking up space in the marrow where they should be healthy cells. Die within the bone marrow before they differentiate. Can train young cells (blasts), but die so are released into the bloodstream. Can train young cells (blasts), but they fail to mature, being incapable of performing the functions of mature blood cells. Can reach the mature form, but they are defective cells that do not function properly. Regardless of the fate of dysplastic stem cell, the end result is an insufficient production of healthy blood cells. The myelodysplasia is a progressive disease. Initially only a fraction of stem cells become defective, being unable to differentiate and become mature cells. Over time, these clones to proliferate, and an increasing number of dysplastic cells arise, to the extent that the amount of diseased cells is higher than that of healthy cells. The end result of insufficient production of red blood cells, white blood cells and healthy platelets by the bone marrow is the progressive reduction of its amount in the blood, leading to anemia, leukopenia and thrombocytopenia. Myelodysplastic syndrome arises when some factor acts causing mutations in bone marrow stem cells, making them defective and unable to generate mature, functional blood cells. In most cases, the disrupter factor is unknown. We usually divide myelodysplastic syndromes into two groups according to their origin: primary and secondary myelodysplasia myelodysplasia. Primary myelodysplasia are those that can not identify a causative agent of medullary changes. The patient develops SMD without a clear cause for the fact. About 70% of myelodysplastic syndrome cases are primary. The secondary myelodysplasia are those that arise after exposure to certain toxic to the bone marrow, usually radiation and chemotherapy. Patients during their life have been treated for cancers such as leukemias, lymphomas, breast cancer, etc., can years later develop myelodysplastic syndrome. People exposed for life to toxic chemicals such as insecticides, pesticides, fertilizers, mercury, lead and benzene. People smokers also have an increased risk of developing MDS. The secondary shapes are often more resistant to treatment. Myelodysplastic syndrome is a disease that affects usually people over 60 years is rare in people under 50 years. Men are more affected than women. In the early stages of the disease, while the fall in the number of cells is small, the patient does not feel any symptoms. In these asymptomatic patients, myelodysplasia can be suspected by CBC blood test, which is capable of detecting small reduction in one or more of the 3 lineage blood cells. As the disease progresses, the patient begins to show symptoms of the reduction in the number of red cells, white cells and platelets. The reduction of red blood cells is called anemia and causes symptoms such as fatigue, lack of energy, skin pallor, palpitations and shortness of breath. The reduction in the number of white blood cells, called leukopenia, decreases the body's ability to fight invading germs. Within the group of leucocytes, neutrophils usually be the type more features fall in production. Neutropenia (low neutrophils) predispose the patient to bacterial infections, especially sinusitis, pneumonia and urinary tract and skin infections. The drop in the number of platelets, called thrombocytopenia, causes the patient to have greater difficulty of coagulating blood. Clinically it manifests as an easier arise bruises (purple spots on the skin), nose and bleeding gums. In advanced stages, with very low levels of platelets, the patient may experience spontaneous bleeding, especially the gastrointestinal tract. One of the most feared complications of MDS is its transformation into acute myeloid leukemia. Usually, the diagnosis of myelodysplastic syndrome occur after a blood test which shows decrease in the number of one, two or three lineages of blood cells. If the disease is still in the early stages, usually, there is only reduced in one of the three cell types. In addition to identifying a small number of cells, blood test is also able to inform the morphology thereof, may indicate presence of dysplastic cells in the blood. Bone marrow aspirate procedure in which is aspirated through a needle a sample of fluid from the marrow. Bone marrow biopsy procedure in which is collected a small bone fragment, containing the bone marrow. Both materials obtained are taken to a pathologist who can identify the presence of medullary dysplasia and chromosomal mutations. MDS is a slowly progressive disease. How it affects mainly elderly often aggressive treatment can end up doing more harm than the disease itself. If the degree of anemia, thrombocytopenia or leukopenia is lightweight, supportive care only aimed at correcting these values may be more appropriate. Drugs like erythropoietin stimulates the production of red blood cells by the bone marrow and can help correct anemia. To increase the leukocyte count, drugs such as granulokine (G-CSF) are useful. In more severe cases red blood cell transfusions are necessary or platelets to replace the lack thereof. Chemotherapy for destruction of the dysplastic cells may be used in some cases. The most commonly used drugs are Decitabine, Lenalidomide and Azacitidine. There is only one curing treatment myelodysplastic syndrome: bone marrow transplantation. The problem is that the bone marrow transplant is a high-risk procedure and is not sure if the patient's general condition is not very good. In general, the transplantation is only indicated in severe cases, no response to conventional treatments. Prior to transplantation, the patient is subjected to high-dose chemotherapy in order to destroy all of their bone marrow cells. The cord and its dysplastic cells are completely eliminated from the body. At this stage that precedes the transplant, the patient is completely exposed to infections because without marrow, he is unable to produce white blood cells for their defense. Once destroyed all the bone marrow of the body, the patient receives a transfusion with blood rich in stem cells from a compatible donor, usually a family member. These healthy stem cells, fill the destroyed marrow and begin to produce healthy blood cells. As MDS is a disease that predominantly affects older people, many of them do not have clinical conditions to undergo bone marrow transplantation.